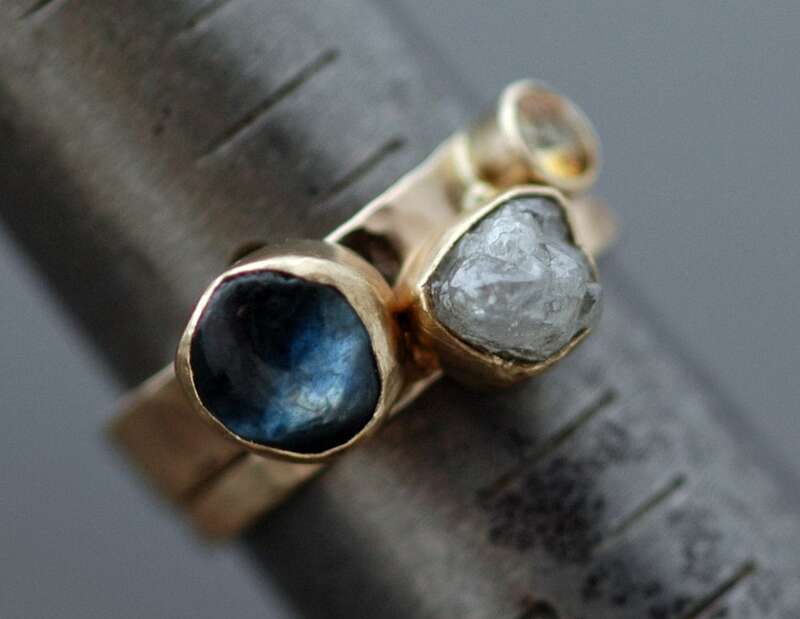 These rings make for a unique take on the 'mother's ring', with a multitude of birthstones. 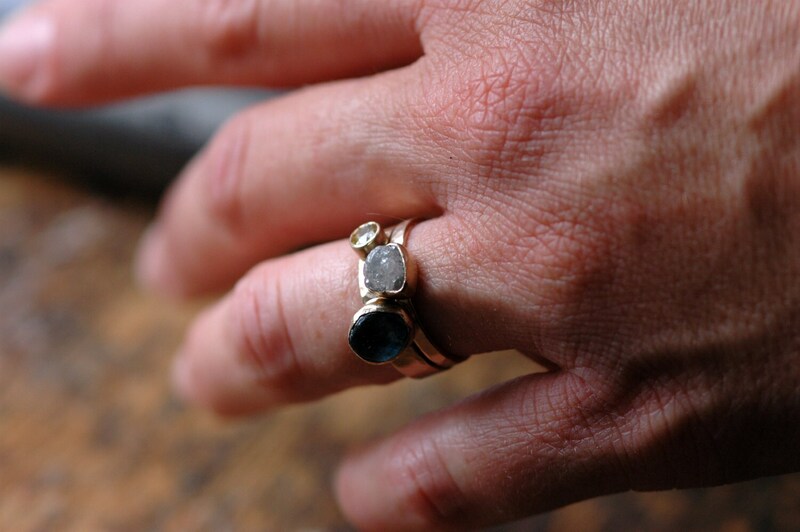 They also make beautiful wedding or engagement rings- the one you see here was used as a wedding band, specifically built to fit together with the rough diamond engagement band. 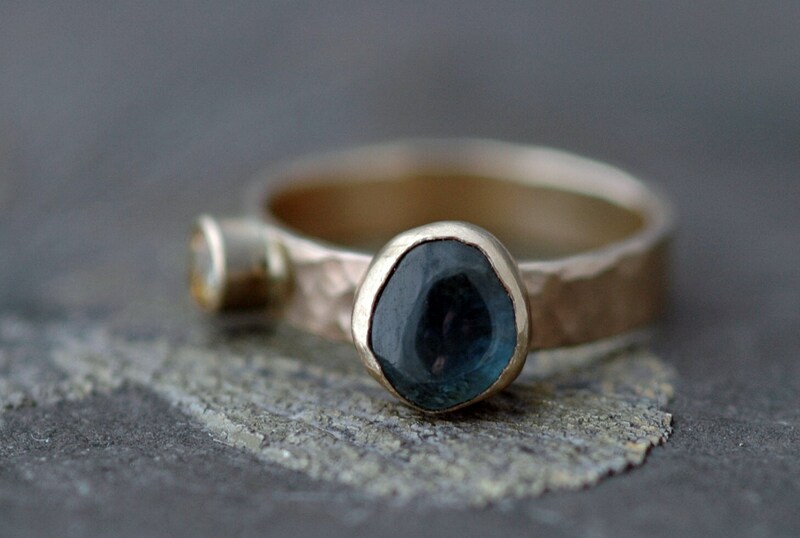 I can place the stones anywhere on your ring- either close together, or at a distance to allow you to use this as a stacker ring. Anything is possible, as I create the ring from start to finish in my studio. 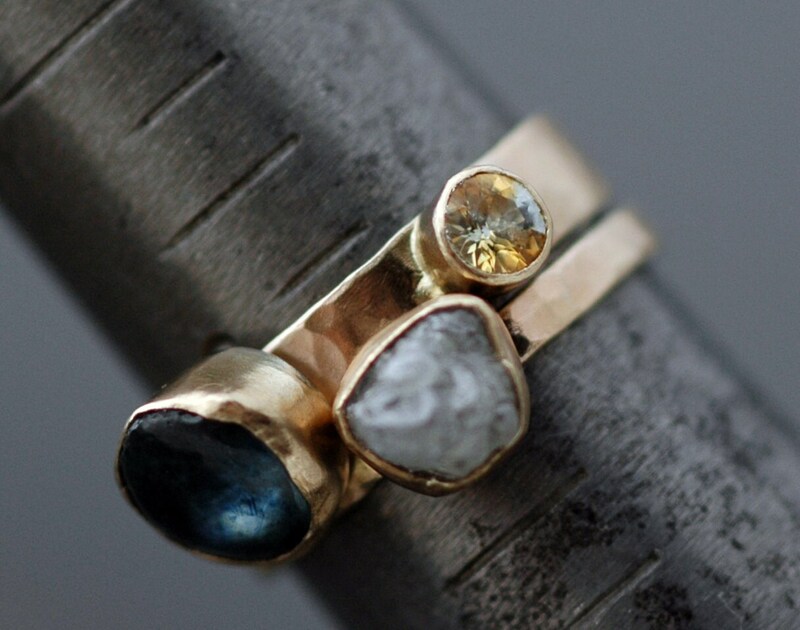 The bezels are built of gold, with a bezel platform (underside of bezel, where the stone rests) made of sterling silver. This silver is not visible when the ring is worn. If you wish to have the bezel platforms also built of gold, there will be an added cost for the more expensive material. Also, on hand, I have..
My little calibrated stones are all within the 4-5mm range. The rough specimens will be in the 8-10mm range, unless you ask for another dimension. If you have another combination request, or would like more than two stones, just let me know, and I will accommodate you. 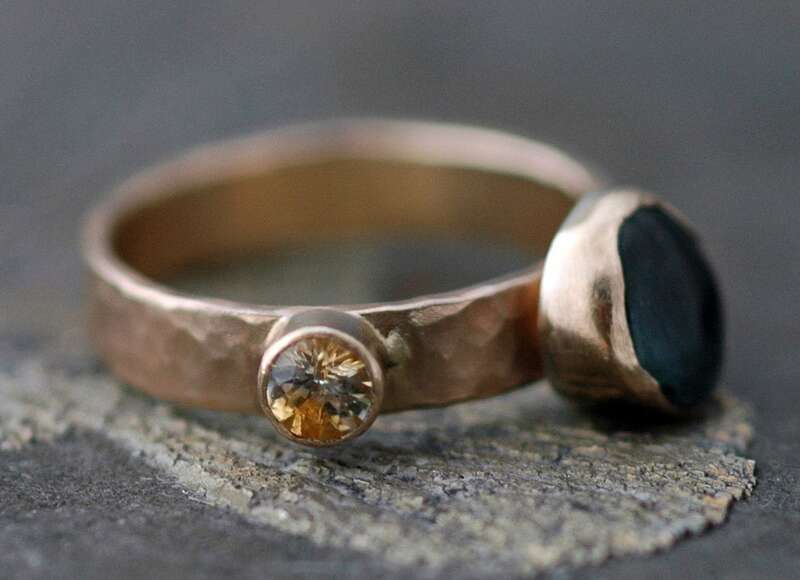 April's birthstone is also available, but the cost is greater than what you see listed here. On hand, I have a gorgeous selection of unique rough diamonds, from 4mm to 6mm in size. I also have two absolutely stunning natural black diamond cubes that I have been saving for something special. Please contact me with your diamond desires, and I will send you a quote for your dream diamond ring.